New buses and cable cars will connect poorer Ecuadorians with jobs in the city centre. In November 2019, the people of Quito will start travelling on the city’s first metro line, three years after construction started. The line will be expected to support at least 300,000 trips daily, becoming the spine of what’s billed as an "integrated multimodal transport system" for the Ecuadorian capital. 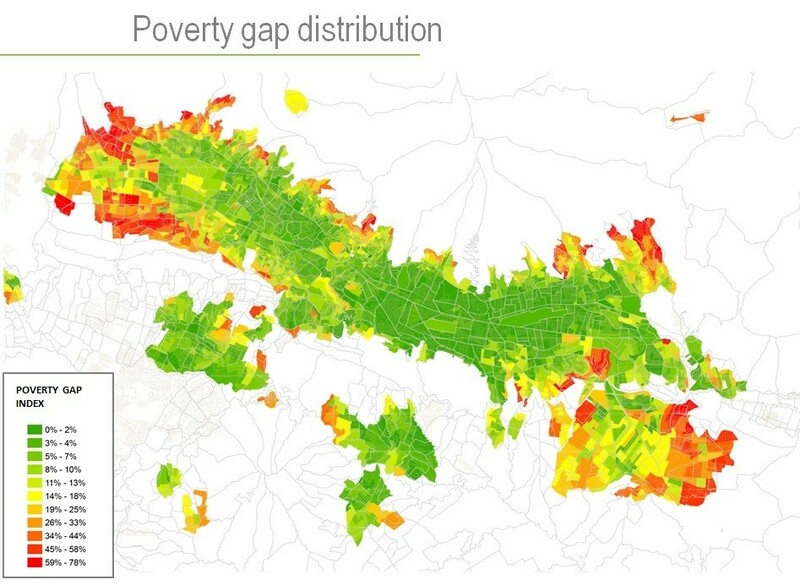 It’s the answer to what has been one of Quito's most pressing challenges: improving mobility conditions for its more than two million inhabitants. Located within the complex topography of the Andes mountain range, Quito sits amid mountains and deep valleys. It is crossed by four tectonic faults, 192 ravines and surrounded by 20 volcanoes. The city has sprawled well beyond its geographical boundaries, with 70% of its population considered to be urban. Lower-income residents have settled in areas in the northern and southern poles of the city, and on the surrounding mountain slopes. Families who used to live in the northern central plateau have moved to housing projects in eastern valleys, which just two decades ago used to be rural areas. Constrained by mountains and ravines, Quito’s urban area occupies a long and narrow plateau. Sixty percent of the city’s jobs are concentrated there. More than half of all daily trips take place on the plateau, causing severe traffic problems. Congestion, along with the city’s topography, has drastically increased commuting times, even for trips of short distances. Around 70% of Quito’s inhabitants commute using public transport. This includes the municipal transport system and a network of buses managed by private companies, as well as taxis. The other 30% of the population commute in private cars that occupy 60% of the city's road infrastructure. Most of the time, these cars are occupied by just one person. The construction of the first metro line has been considered by the Municipality of Quito and its financiers (the World Bank, Inter-American Development Bank, the Development Bank of Latin America and the European Investment Bank) as a unique opportunity to develop more efficient and inclusive mass transit for all citizens. The aim is to create a multimodal system, which means that on top of the current facilities of bus lines, bike-sharing scheme and new metro, two cable-car lines are being planned to connect people from neighbourhoods higher up the mountain. Since 2014, Quito has also been working on improving the quality of its trolley buses. New buses helped to reduce the number of people packed into one square metre of bus from 15 to nine. Safety has also been key - new bus stops have rubber floor tiles and information in Braille. The 15 metro stations will all include elevators and lanes for wheelchairs. In an attempt to combat sexual harassment, the municipality offers "Bajale al Acoso" ("Down with Harassment"), a mobile platform for reporting antisocial behaviour. The construction of the city’s first metro line and its integration with existing public transport systems represent a historic opportunity to rethink urban development and its dynamics. This multimodal system will change the way people move around the city, improving the quality and efficiency of their journeys. It will also build a more resilient city, adapting patterns of urban growth towards a more sustainable metropolitan environment.